Goodbyes will always hurt, pictures will never replace having been there, memories good or bad will bring tears and words can never replace feelings. 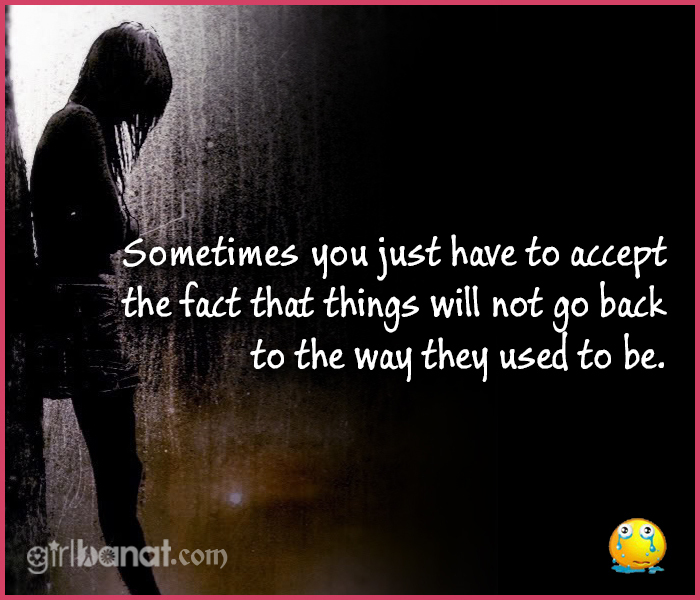 When someone treats you as only an option, help them narrow their choices by removing yourself from the equation. It’s that simple. Someday you’ll cry for me like I cried for you; someday you’ll miss me like I missed you; someday you’ll need me like I needed you; someday you’ll love me, but I won’t love you anymore. Breaking up is like having the worst nightmare after having the best dream. 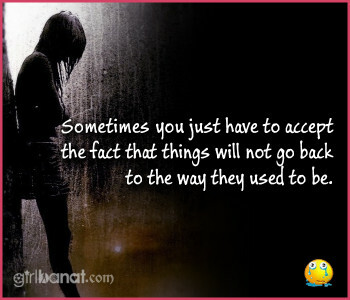 Sometimes you just have to accept the fact that things will not go back to the way they used to be. It’s hard to wait around for something you know might never happen, but it’s even harder to give up when it’s everything you want. Everyone in life is going to hurt you, you just have to figure out which people are worth the pain. Breakups aren’t always meant for make ups. Sometimes relationships end in order for you to wake up. Life doesn’t hurt until you have time to yourself to think about how things have changed, who you’ve lost along the way, and how much of it is your fault. Sometimes you have to stop trying with some people. If they care, they’ll make an effort. Everyone wants happiness, no one wants pain, but you can’t make a rainbow without a little rain. Inspire more readers. You can share your own Sad Love Quotes and Messages with us. We will be glad to have them posted here. Just Contact Us. ung sobrang sakit bakit ang bilis mung makalimot !! !